“Flower petals fall, but the flower endures. The form perishes, but the being endures.” Inspired by the saying of Kaneko Daiei, a Buddhist philosopher in modern Japan, philosopher Seiichi Takeuchi explores the Japanese philosophy of mujo (transience). The impermanence of life—Japanese people call this feeling mujokan. What if we could accept this idea and apply it to our own lives to clear away the feeling of doom and gloom that is pervasive in modern life? With his look into the unique Japanese perspective on life and death, Takeuchi explores the foundation that the mind and spirit of the Japanese people rests upon. He discusses philosophical concepts through the use of Japanese words and their etymology to produce a better understanding and idea of how these concepts still exist within the modern Japanese language. This vital understanding of meaning and origin gives further insight into the unique tradition of Japanese thought found throughout the ages. The concepts of onozukara (the universe), mizukara (the self), and the awai (interaction) between the two is also examined in depth to shed light on the underpinnings of Japanese philosophy on mujo. 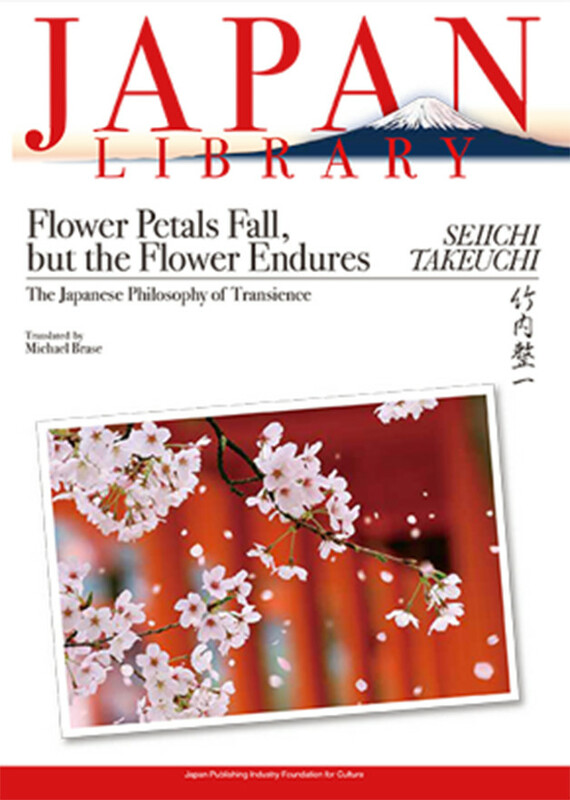 Introducing works spanning more than a thousand years, Flower Petals Fall, but the Flower Endures presents the Japanese philosophy on life and death and how it relates to modern society. Takeuchi finds relevance in the context of numerous Japanese works and pinpoints their prevailing themes of mujo. 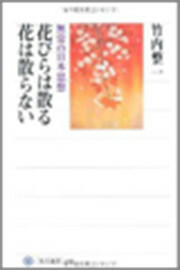 This book presents a full record of Takeuchi’s valedictory lecture in honor of his retirement from the University of Tokyo. As Japan’s leading expert on the history of Japanese philosophy, Takeuchi provides a stimulating and thoughtful read for readers interested in ethics, the environment, philosophy, spirituality, and/or the challenges society faces in a modern context. A key read for those wishing to better understand the deeply rooted philosophy found in Japanese thought. Seiichi Takeuchi is professor emeritus at the University of Tokyo and Chair of the Japanese Society for Ethics. He specializes in ethics and Japanese intellectual history. His numerous books include Nihonjin wa naze ‘sayonara’ to wakarerunoka [Why Japanese Say ‘Sayonara’ on Parting] (Chikumashobo).